What Is Baby Sleep Training? The reason there are so many different definitions of this term is because sleep training means different things to different people. Some families believe a child is sleep trained if their baby can simply sleep through through the night without feeding. Others feel that a child has to a have strict, age appropriate nap schedule during the day in order to be truly sleep trained. In reality, sleep training means that a child, aged 16 weeks of age or older is able to go down awake in a crib for all sleep periods, without sleep props of any kind, and be able to fall asleep wholly unassisted. They should have the appropriate number of feedings overnight as established by their pediatrician (if they have any at all). And finally, they should be a on an age appropriate nap schedule. One important note to keep in mind is that while the initial process of sleep training typically takes about 3-4 nights for nighttime sleep and about 1-2 weeks for naps, maintaining sleep training is a discipline parents will want to maintain throughout their child’s entire infancy and toddlerhood. Sleep props are any objects, or people, a child relies on to fall asleep. This can be a crib positioner, swing, breast, rocking, pacifier, etc. Picture a crib or Pack n Play in your mind, then picture a tightly fitting, flat, and firm mattress, then imagine a tight fitted sheet. If your baby or toddler is not able to go down flat on their back, eyes open, wearing nothing but their diaper, pajamas, and perhaps a sleeveless sleep sack, and go from being awake to asleep without your presence or sleep prop, they are not sleep trained. Sleep props require parental intervention, so if Dad needs to wake up to reinsert a paci, or Mom needs to nurse baby, or grandma needs to rock baby to sleep for naps, that means that the child is not truly an independent sleeper and is not sleep trained. It is quite normal for humans to rouse frequently throughout the night, especially when going from one sleep cycle to the next, and if a child is unable to wake and fall back to sleep without a sleep prop, they are not truly sleep trained, since a parent or caretaker will need to intervene in order for them to fall back to sleep. 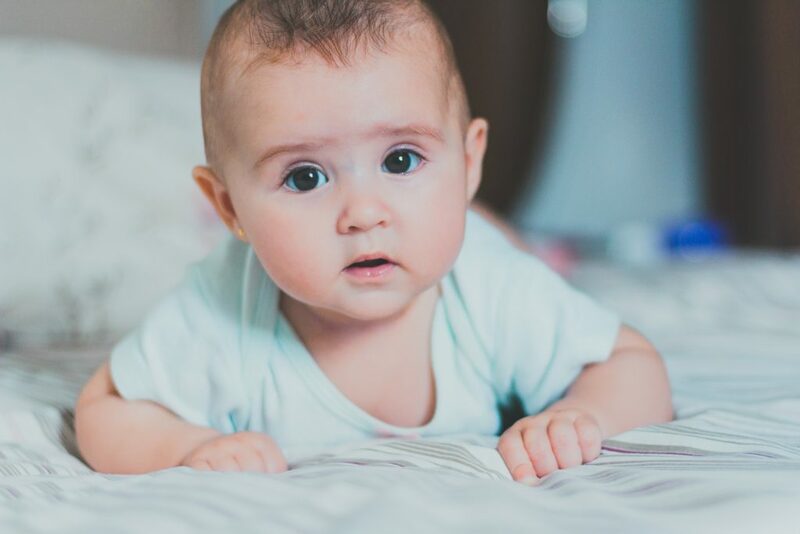 A barren crib with a flat mattress is the only truly safe way for an infant or toddler to sleep, and thankfully weaning of sleep props before starting training is not necessary. Pacifiers specifically should not be weaned for any reason in a child aged 12 months or younger without pediatrician approval. While having an age appropriate nap schedule is not related to a child falling asleep independently, it is still a vital part of sleep training. That’s because a child who takes too many naps for their age may have a hard time remaining asleep throughout the night. Baby Sleep Trainer online programs help families quickly determine the right number of naps a child should be taking, what times they should be occurring, and how long they should last. Remember that with almost all things related to child-rearing, maintaining sleep training requires some thought and planning, as well as consistency and discipline over time. While families certainly do not need to stay home for every nap once a baby or toddler is sleep trained, families do want to make sure they know how to retain their child’s ability to fall asleep even during illness, milestones, or regressions. Once a family decides to start assisting their child in falling asleep again, the child will begin to desire that help for naps and as they wake naturally throughout the night, and sleep training will need to be re-done. 4. Take the age-appropriate number of naps each day that total no more than 5, and get the correct amount of total daytime sleep. 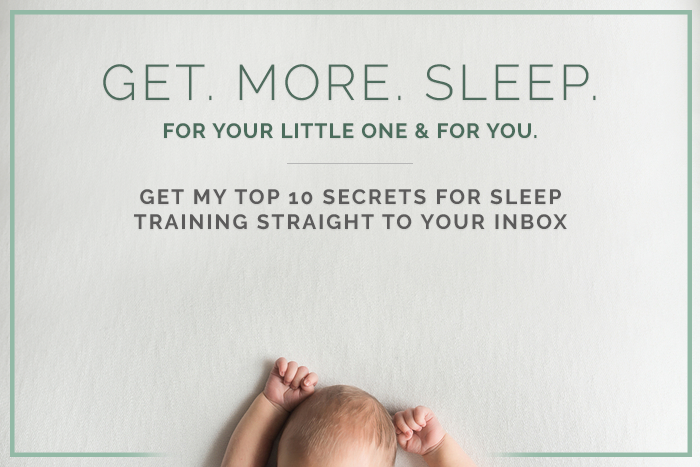 I know that the sheer volume of content available to help you sleep train your baby can be overwhelming. Always know that Baby Sleep Trainer is here to help with affordable programs that offer hands on support from me. You and your family can benefit from my thousands of hours of experience, and baby can get their best sleep possible with the fewest number of tears.